October 28, 2017, is a day that changed my life. It became a year that stretched me, grew me, and made me a better person. That morning, I became the 23rd President of Women Writing the West or WWW. I joined WWW in 2012 at the urging of new friends and fellow authors, Janet Chester Bly and Paty Jager, during a book signing at …And Books, too! In Clarkston, WA. 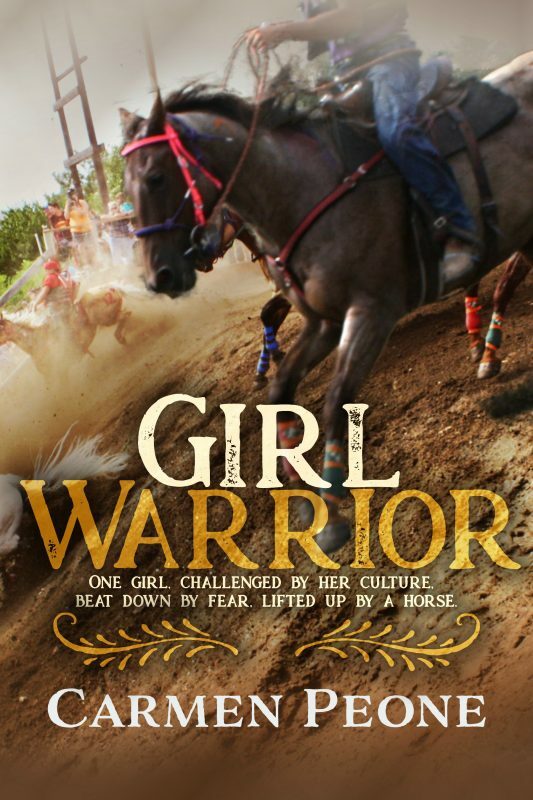 They promised the organization would be a perfect fit for me and my books, which included girls and women of the west, as well as, both cowboys and Indians. Once home, I Googled the non-profit and immediately signed up. I could have attended the New Mexico conference as it was mid-September but decided that was way out of my comfort zone. That next June, the WWW President emailed me and asked if I was interested in taking over the Secretary position. Who, me? They don’t even know me, was my confused cranial reply. I happened to mention the soon-to-be vacant position and upcoming conference to my husband. And squirmed at the same time because it was in Kansas City, MO, and I’d have to travel alone, without knowing a soul. Which made my insides wiggle and twist that much more. Hubby kindly told me to cowgirl up and take the bull by the horns. With a little more coaxing, that’s what I did. I accepted the position, booked my flight, and inquired on the member listserv if anyone needed a roommate. That night, I had a roommate and one that would become a lifelong friend. Thanks to Mary Trimble who accepted my request. Only God knew the friendships I would make from that moment on. This year on October 29th, I will hand the Notebook over and become 2019 Past President and WILLA Literary Book Award Chair. Learned patience as we replaced the original accountant with a new one, enduring banking issues because needed Board members all reside in different states. Learned the real meaning of teamwork as I worked with an amazing Board to accomplish many tasks and goals. Found how rewarding it can be to step up to new commitments and experiences, to endure growing pains and come out a better, well-rounded woman with a confidence that can take on husband’s said bull. Learn to organize in ways that make me take notice, learn, and remember. Take pride in my accomplishments and feel good about what I’ve been blessed to be a part of, and celebrate other’s endeavors like Linda Wommack’s proposed DOWNING Journalism Award. Appreciated those I’ve been privileged and honored to work alongside. Learn the ins and outs of the business side of a national writing organization. The one event the President oversees is the annual conference. The most profound task is finding the right Conference Chair and venue, and I found that in Shanna Hatfield and Walla Walla, WA, with a Sunday member tour in Pendleton, OR. Working with a chair who is creative, organized, and a go-getter is a huge blessing. In late September of this year, I was in Walla Walla, the cozy historically-rich town in Washington, for an Indian Relay Championship Event. Shanna and I met and dined at a delicious Ma and Pa restaurant, discussed conference business, and re-visited the venue––Marcus Whitman Hotel. We had toured the hotel last June. I would like to take a moment to thank Shanna for her hard work all year, along with her conference committee, to give WWW members an amazing experience in Walla Walla, WA. So it is this morning, during our annual Membership Business Meeting, it will be a bitter-sweet moment as I reflect on all that has happened during the year and pass the torch, or in this case my 2-and-1/2-inch notebook to the 2018-2019 President, Irene “Cindy” Sandell. I can only hope Cindy’s year will be as enriching as mine has been. I experienced the same emotions and growth, but you said it so much more eloquently. Your easy leadership style seemed effortless. Thank you for your service and this poignant recap. You remain my hero. Anne, so are so sweet! You were also one amazing WWW President. I learned a lot from you. Blessings. I have experienced many of the same emotions you write about. I would also add something about the abundance of confidence I feel—not in myself, mind you, but confidence in an incredible organization and the profound support of its members and board. What an honor that you were asked to be involved. What a privilege to serve. But most of all, what an absolute joy it is to know you! Well said, Amy. WWW is an amazing group and it is an honor to serve. I look forward to your upcoming year. And in all honesty, the joy is mutual, my friend! I didn’t know this organization existed. My dear wife, Jo Ann Bender might like to join. She has published several fiction pieces on women in the West. Congratulations of all you have accomplished! And THANK YOU for contributing your talents and love to Women Writing the West! Thank you, Krista! You brought a touch of class and elegance to Walla Walla. Thank you for sharing your talents and insight with us. You are a fantastic leader, an amazing person, and a wonderful friend, Carmen! Thank you for inviting me to walk in step with you through this journey of putting on the annual conference. We’ve both stretched our boundaries and grown because of it, and I’m so, so thankful for your encouragement, support, and ongoing friendship! Thank you so much, Shanna. Yes, we have grown and stretched and I’m honored to be a part of your life and team. You also are a blessing to me. The conference was outstanding because of your talents, dedication, and everything had that “Shanna” touch in it, that special element that told the members they are valued and special. Well done, my friend. Well done! Congratulations! You have grown as a person and a writer in this organization. You are an amazing person who gives and changes people. Thank you, Paty! That means a lot. Hope to do a book signing with you again sometime in the coming year. Your summary is amazing—all that you have accomplished. I am proud to say I follow your blog, read every word, and offer compliments, encouragement, and support. Thank you for your amazing year. Thank you, Judith! It’s an honor to know you and also follow your blogs. Carmen, you are an accomplished writer, and a good organizer. I was glad I met you at the Idaho Writers Annual Conference in Moscow. My best to you, and my old friends Mary Trimble and Heidi Thomas at WWW. Thank you, sweet Hemlata! Mary and Heidi were thrilled to hear from you, as was I to meet you. I hope to see you again sometime. Thanks for everything you’ve done as WWW president! Looking forward to continuing to work with you as you step into the WILLA Chair role. And have fun at the conference! Thank you, Brigid. I look forward to working on WILLA items this year. The conference was wonderful. You were missed. Dear Carmen, My warmest thanks to you for your hard work and for your leadership. Here’s hoping I’ll see you at the next conference! Thank you C.M. Yes, I hope to see you in San Antonio!